Fuzzy is finally back home after 4 years, thanks to a happy coincidence that brought both him and his petmom to a humane society’s adoption area in a local pet store. 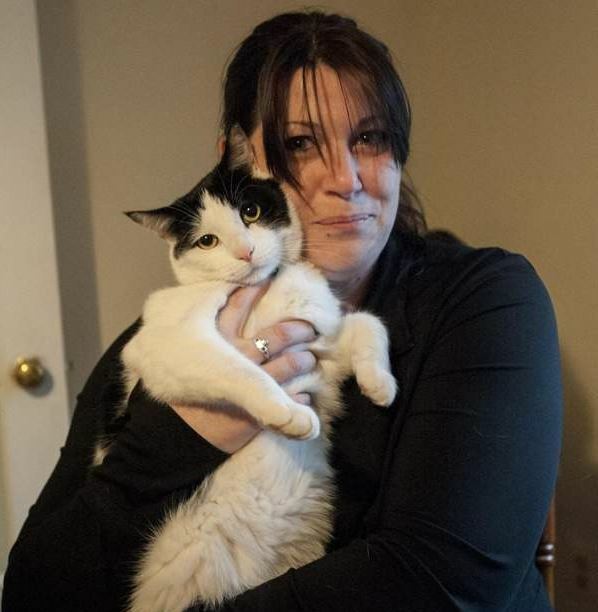 Michelle wright holds her long lost cat Fuzzy who she found in a pet store after 4 years. Barrington, NH resident Michelle Wright was stunned and excited to see a very familiar furry face when she visited the Pet Connection pet supplies store in Barrington last Sunday. There, up for adoption from the Cocheco Valley Humane Society, was her long lost cat Fuzzy, who she hadn’t seen in years. Fuzzy disappeared and was thought to be dead after running off from a friend’s house in 2010. “One of her [the friend’s] neighbors had told me that a black and white cat that resembled him had been struck by a car, which was extremely devastating. I was a mess for quite a while and I had given up for the most part,” Ms. Wright told Channel 9 news. Fuzzy had been up for adoption at the pet sore for a week or two when Ms. Wright stopped in on Sunday. “I had said to my husband, ‘Wow, he looks an awful lot like Fuzzy.’ And I asked how old he was and she said according to the shelter he was 4 years old. And at that very moment, I knew,” Ms. Wright said. Ms. Wright let the store staff know she believed she had found her cat, then she set about to reclaim him. “Then she was really adamant about it like, ‘That’s my cat, I swear. 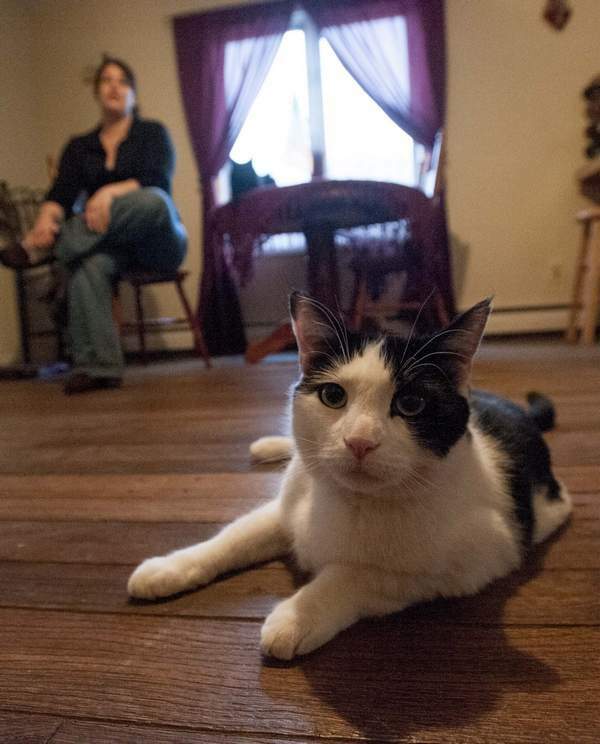 That looks just like my cat, I’m going to have to bring in pictures,’ and then the next day she brought in pictures and lo and behold, they matched up everything to the paw prints and colors and markings and everything,” said Pat Connection owner Jesse Senter. Fuzzy’s petmom gladly paid the $85 adoption fee to the shelter to restore her guardianship of him. A microchip to ensure that Fuzzy’s identity will always be known was included in the 485 fee. Fuzzy had been rehomed twice before by the Cocheco Valley Humane Society, most recently by a family who returned him when they moved away, but he still remembered his name and his original family, who’d had him since birth. You can read more on the amazing story of Fuzzy’s homecoming at Foster’s Daily Democrat.